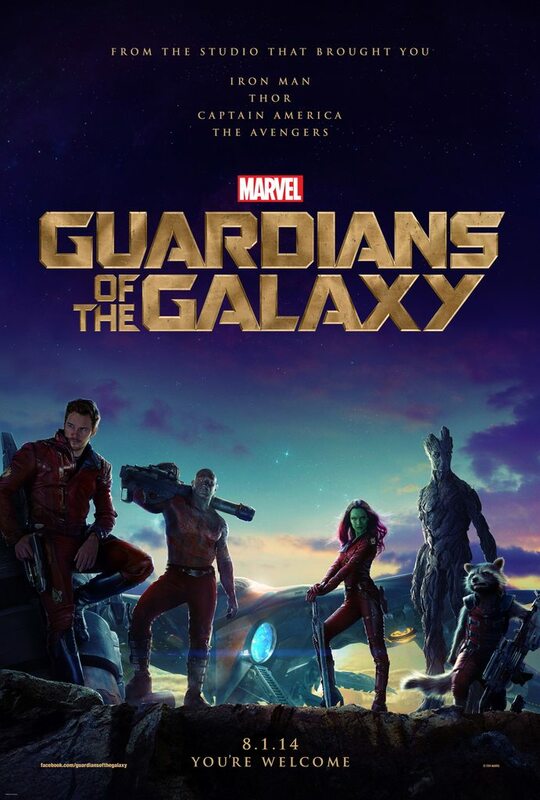 The first poster for Guardians of the Galaxy is out, and it shows a new concept design very different than previous Marvel Studios films. There are no villians, explosions, dangers in the background as in Iron Man 3, thor 2 and Captain America 2 posters. We can see the group, relaxed, with the ship parked in the background, as if they are doing camping in somewhere rocky or just road-tripping in the Universe.